What is known in the world of cannabis and gardening in general as a plague of spider mite is the attack of red small spiders, which have a size of about 0.5 millimeters, being really hard to see with the naked eye. They usually settle in the back of the leafs (underside). They aren?t easy to perceive at simple sight, therefore that’s why the first thing that we will probably perceive are the symptoms. How to detect a plague of spider mites? The first evident symptoms are a few white spots like pin tips, which accumulate throughout the main vein structure of the leaves and can even finish up discolouring them, aquiring a light greyish green. This would be the first phase of the pest. In the second stage, the leafs will completely discolour and can reach to fall; in this second phase we can perfectly see fine spider webs on the underside of the leafs. The last phase of colonization is when plants are fully covered by red spider webs. The plant will surely die if it gets to this point. 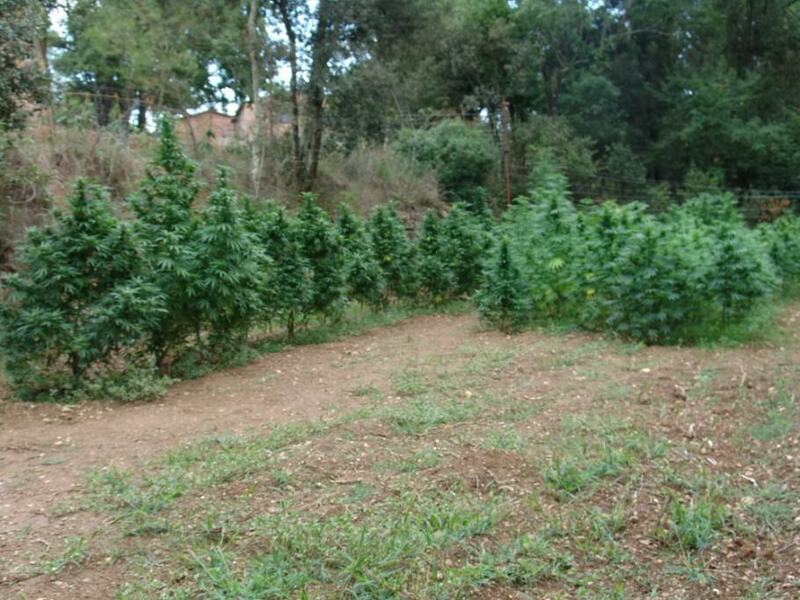 How, when and why breaks out this plague in marijuana plants? 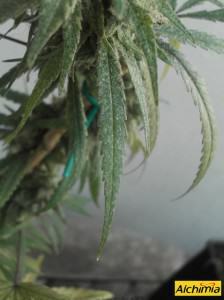 Outdoors, spider mites usually attack mostly at marijuana plants which suffer periods – of shorter or longer lenght – of drought, and which are also subject to high temperatures and very low humidity; the ideal conditions for the development of spider mites is with high temperatures and dry enviroments. 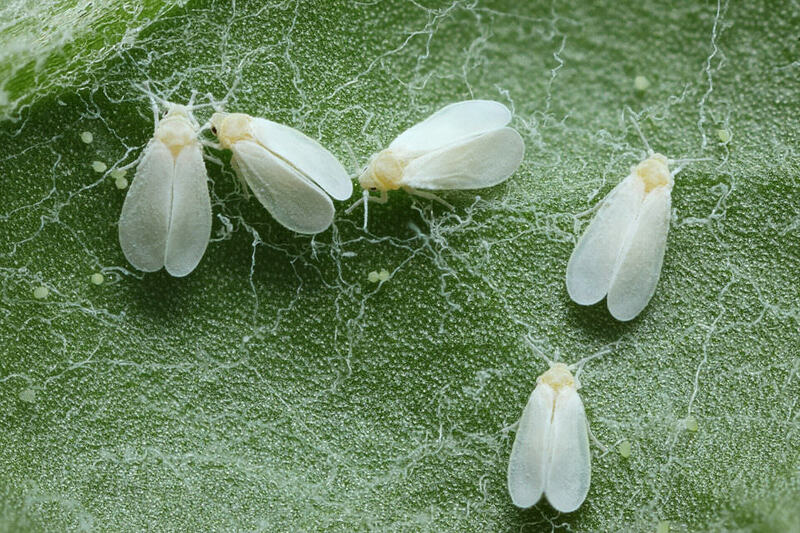 That is why we?re faced with this problem especially during the months of July and August, when the best conditions for the spread of this pest are naturally given. If we add to these atmospheric conditions a plant grown in a small pot and with little or irregular irrigation, we have the perfect cocktail for the propagation of spider mites. Plants behind glazed galleries are especially problematic. 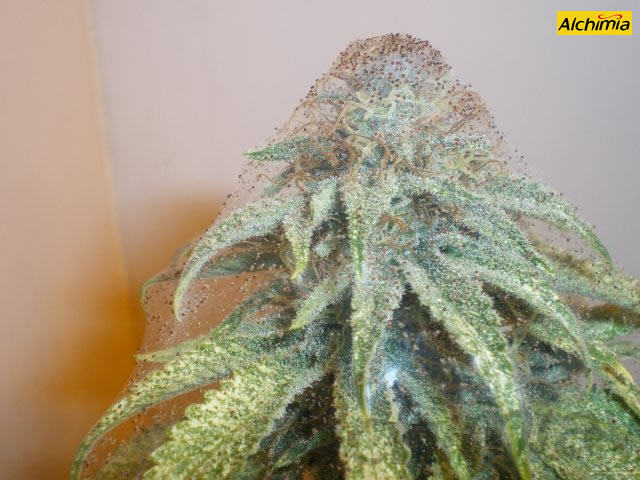 Although the spider mites pest can significantly decimate the harvest, it will rarely end with the entire crop, since plants attacked by red spider mites – unless they are covered by spider webs – will still be suitable for consumption. Indoors, red spider mites are one of the most common pests, with an alarming destruction capacity of the crop, because indoor crops, under artificial lights, are usually under the combination of high temperatures and low humidity. In this growing system is where the plague can completely destroy the harvest, since – being an indoor growing – there aren?t the predators that would be found in natural ecosystems. As happens outdoors, July and August are the months when plants are especially prone to the expansion of the spider mites plague, when the high temperatures of the summer join with the heat produced by the growing lamp, what raises the temperature to 33 / 34 ° or higher. To prevent their presence, the best method is to regularly wet the foliage of the plants by spraying them with water with a hose, by aspersion or in the case of indoor plants, with a hand sprayer or the installation of ultrasonic humidifiers ; placing some containers full of water to increase humidity may also give some result. It?s also necessary to be careful when using fertilisers rich in Nitrogen (N), which favours this pest since plants grow much more and have lots of very tender tissues, ideal to be bitten by this parasite. Another way to control this pest is the manually. It consists in cleaning the underside of the leafs with a cotton ball dampened with pharmacy alcohol diluted with water at 50%. Notice that if we decide to use this system, we will have to repeat the operation every week until the end of the crop. Unfortunately, when the plague has escaped from our control and seriously threatens the development of our crop, we have no other choice than combat it with chemicals. In this case, we must look for an acaricide that has low danger for the fauna and a short safety term. The Doble action acaricide , from COMPO, works great for this purpose. Thank you for all those informations. Good job! Thanks a lot, we’re glad you liked our Blog! We’ve been into deep water culture for basic veggies, medicinal and cooking herbs. We ran into all the typical indoor growing pests and have worked now for 2 years to resolve those problems organically. Recently we met a new friend who is very involved in medical MJ hydroponic growing. 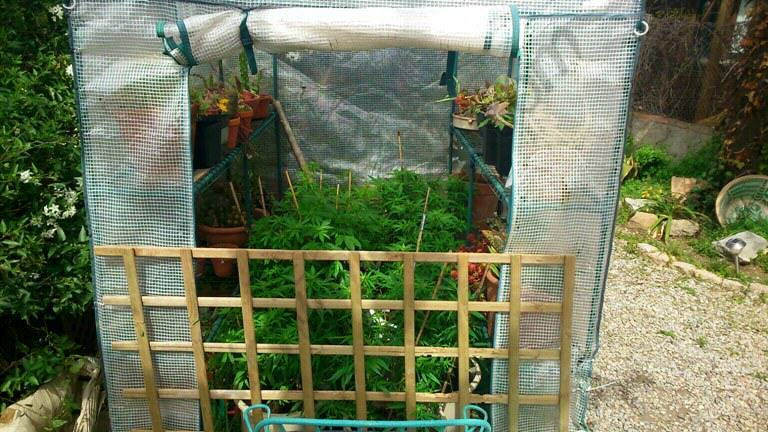 He had all the usual problems with pests through his grow cycle. He found out what were were working on and gave us a great opportunity to test what we’ve worked with on his crop. We have now done two crops with him and he has had no pest problems and we’ve improved his nutrient uptake and he has had no water change outs with two crops in the same solutions. Only water is added as the system runs low. We are sharing this with others to get feedback and opinions. We are working with organic manure, organic plant material and organic minerals. Just so everyone is clear, this is not a product on the market, but if it seems it will be we will be glad to do the right thing with the webmaster and pay for advertising or whatever requirements are needed. For ourselves, we have gotten rid of spider mites, root aphids, leaf aphids, white fly and powdery mildew. The water solutions in the tanks are always fresh and clean smelling, even during harvest and uprooting. So our friend tried placing new clones straight back into the old water to see what would happen. He got a second crop with no health issues. After talking with various growers, we get the same comments; that they don’t believe us and after seeing all the discussions on various forums we understand why that opinion is there. All we do is foliar spray twice a week and add it to the nutrient solution in the water supply tank. Our new friend the grower really likes the results of the crop and likes that it is all organic and disease free. Sorry for rambling on, but we are very excited. We really would like your comments and responses. Last Year Had a Red Spider mite infestation in my Garden, Planted Dill Plants and the Spider mites Left, they do Not Like the Dill. Hi Kaz, that’s great news, thanks for the tip! I’ve had great results applying a foliar spray with essential oils to get rid of mites, but your approach sounds even better! Happy growing! Hi. Great info on spider mites. Thank you. We have sunrise temperatures of 3deg C (but v low humidity) these days, but the buggers are still there. Love the organic recipe tips. Hi John, thanks for your question, we’re unsure as to why that might be happening, so I need to ask a few questions. Firstly, can you describe in more detail what’s happening please. Are the leave necrotic and black? Or is it a case of dark pigment in the new leaves? Are the growing normally aside from the colour, or are they curling and dying? Another thing to ask is what did you use to get rid of the sider mites? It could be the case that the product you employed may have caused the black new growth. Are you experiencing low temperatures? Overwatering perhaps? With some more information hopefully we can get to the bottom of this problem for you. All the best and happy growing!